Routledge Introductions to Applied Linguistics is a series of introductory level textbooks covering the core topics in Applied Linguistics, primarily designed for those entering postgraduate studies and language professionals returning to academic study. The books take an innovative "practice to theory" approach, with a 'back-to-front' structure. This leads the reader from real-world problems and issues, through a discussion of intervention and how to engage with these concerns, before finally relating these practical issues to theoretical foundations. Additional features include tasks with commentaries, a glossary of key terms, and an annotated further reading section. Exploring English Language Teaching provides a single volume introduction to the field of ELT from an applied linguistics perspective. The book addresses four central themes within English language teaching: ‘Classroom interaction and management’; ‘Method, Postmethod and methodology’; ‘Learners’; and the ‘Institutional frameworks and social contexts’ of ELT. For each, the book identifies key dilemmas and practices, examines how teachers and other language teaching professionals might intervene and deal with these concerns, and explores how such issues link to and inform applied linguistic theory. 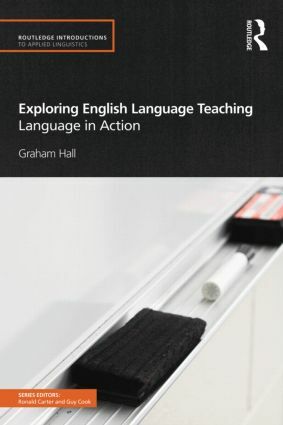 Exploring English Language Teaching is an indispensable textbook for language teachers, and for post-graduate/graduate students and advanced undergraduates studying in the areas of Applied Linguistics, Language Teacher Education, and ELT/TESOL.